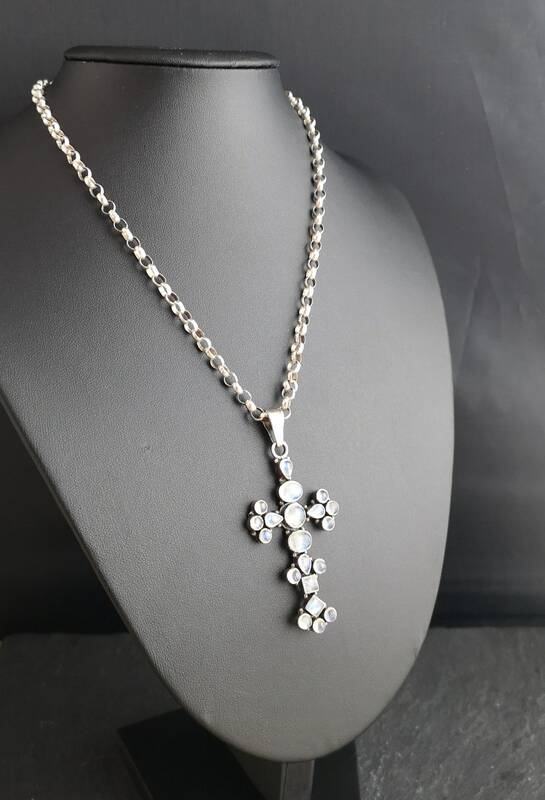 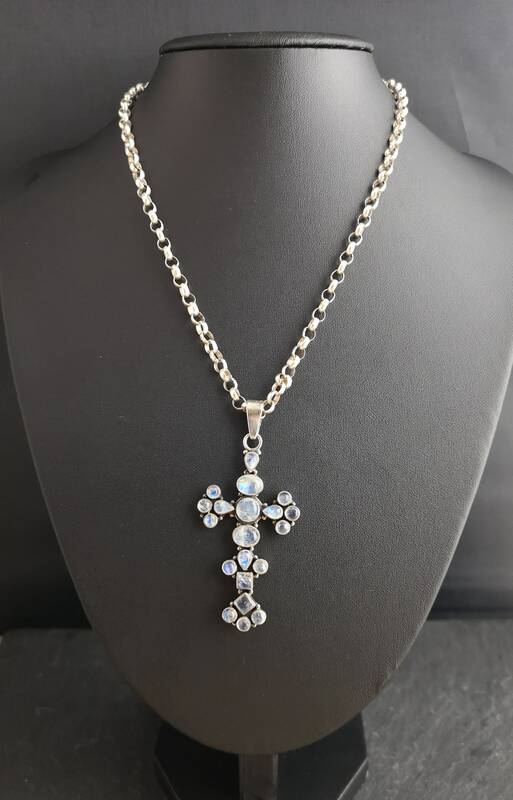 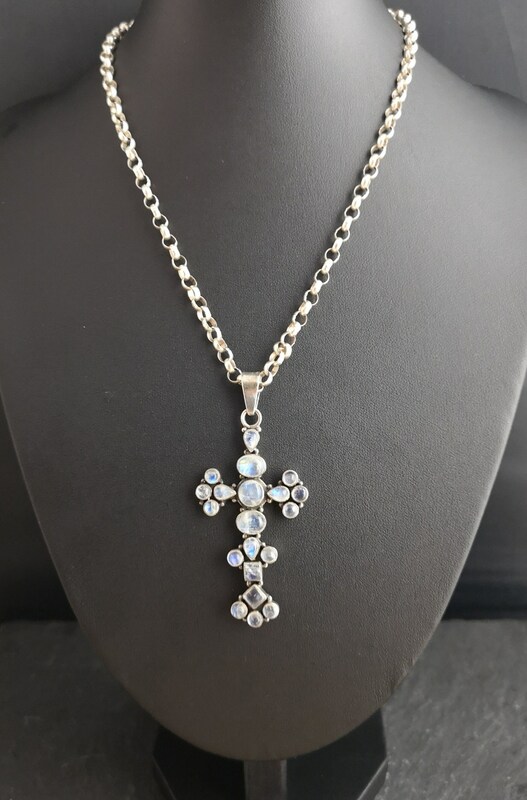 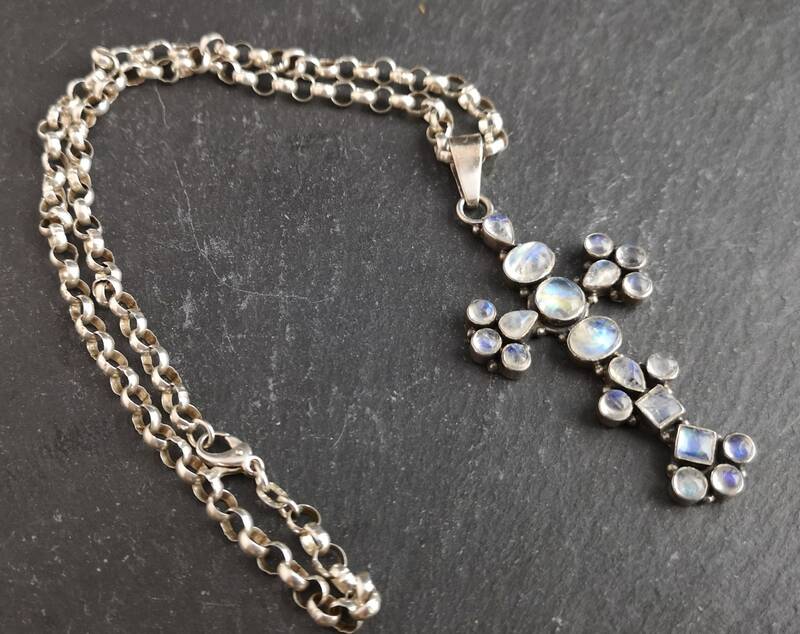 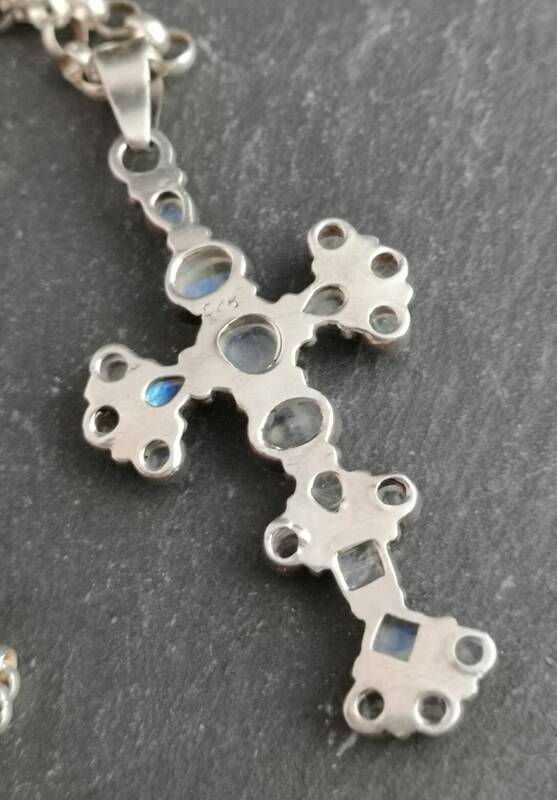 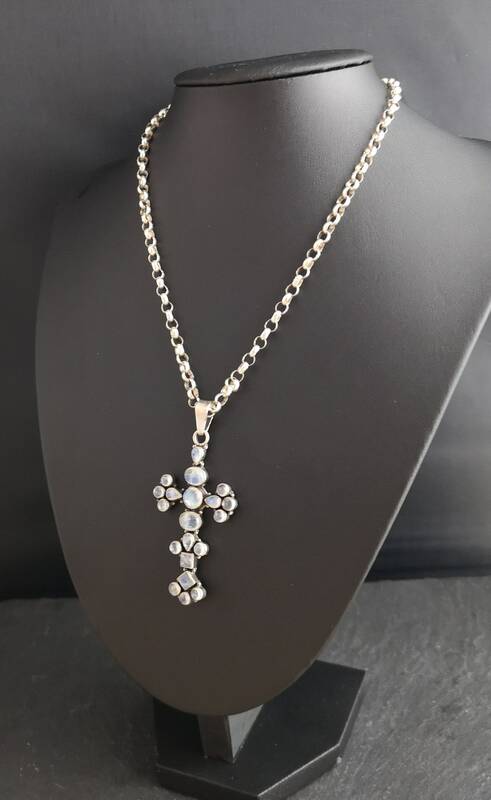 A large antique sterling silver and moonstone crucifix pendant. 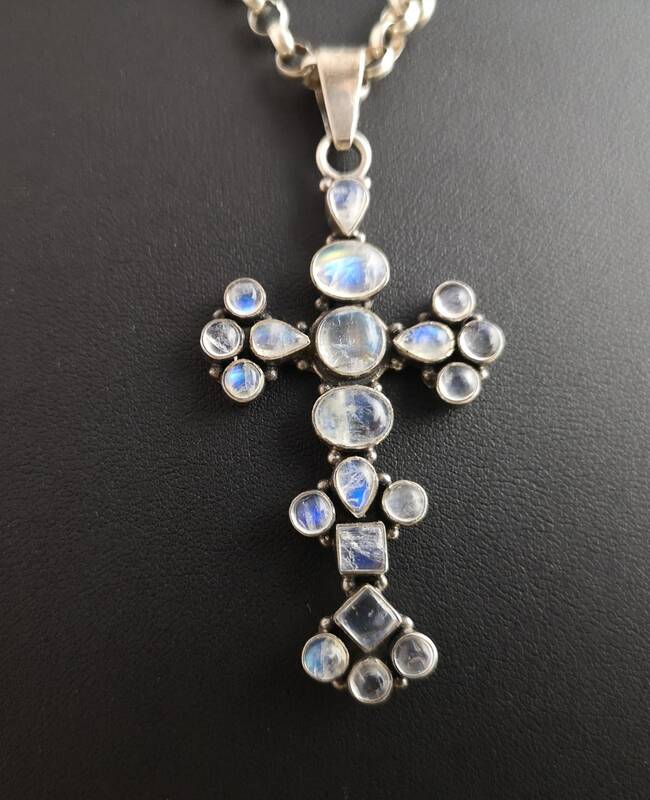 Edwardian era it is Art Nouveau in design with pretty carved and domed Labradorite cabochons in various shapes and cuts set into the bright silver. 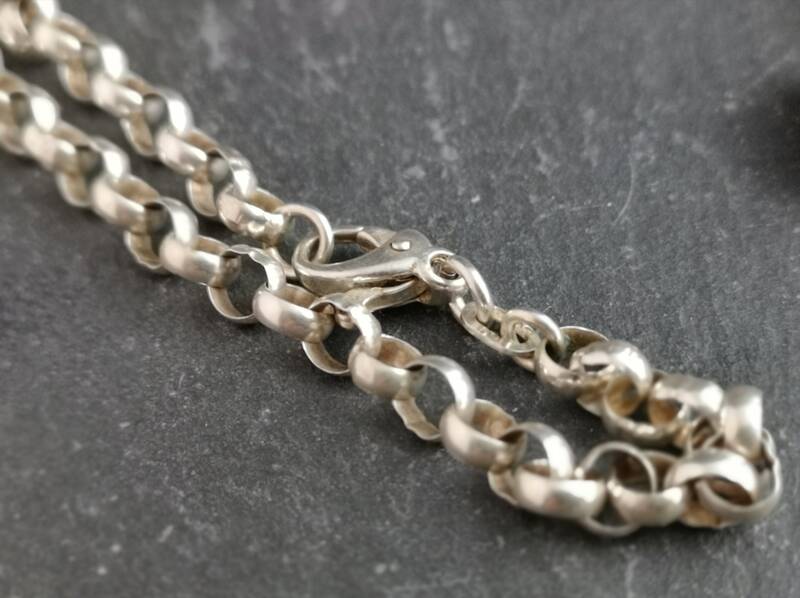 It is marked on the reverse 925, it did not have a chain with it so we have added a later chunky vintage sterling silver belcher chain which is also marked. 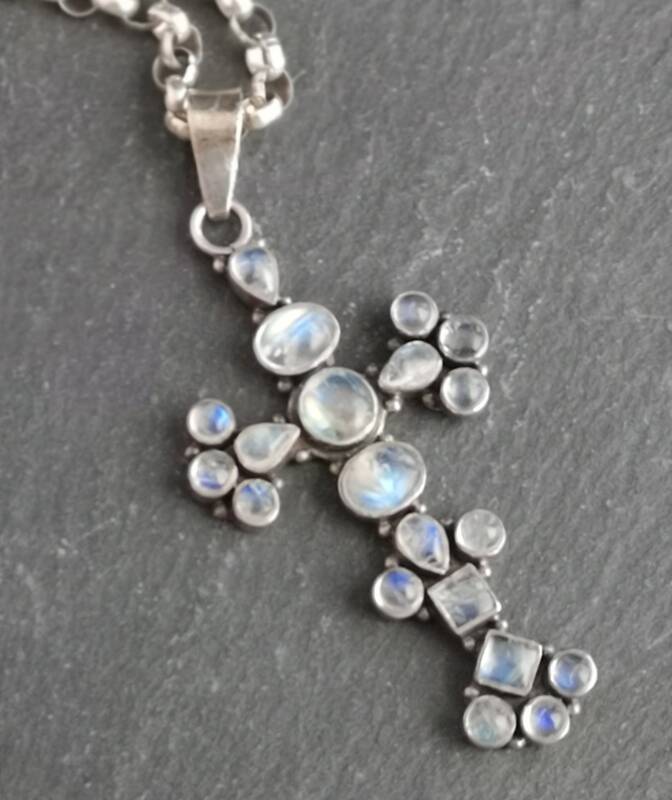 The Labradorite have a beautiful silver blue glow and catch the light beautifully with their natural stritations. 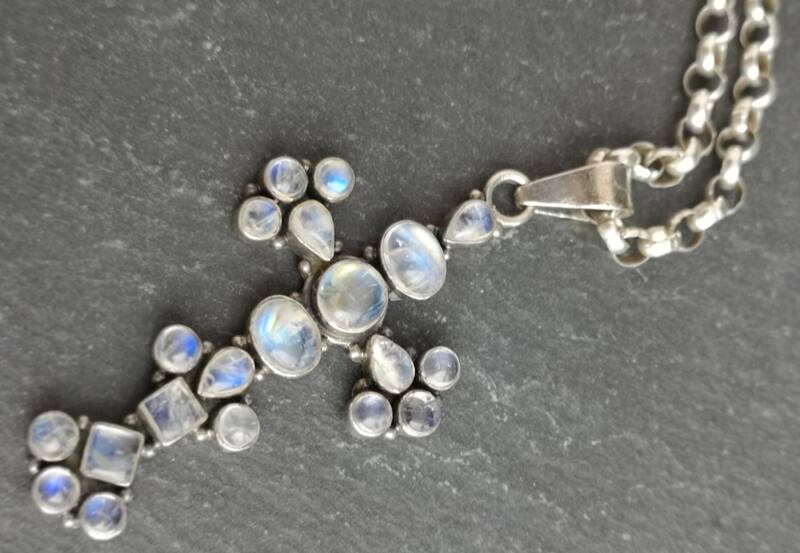 Overall the pendant is in good condition, light wear and patina.